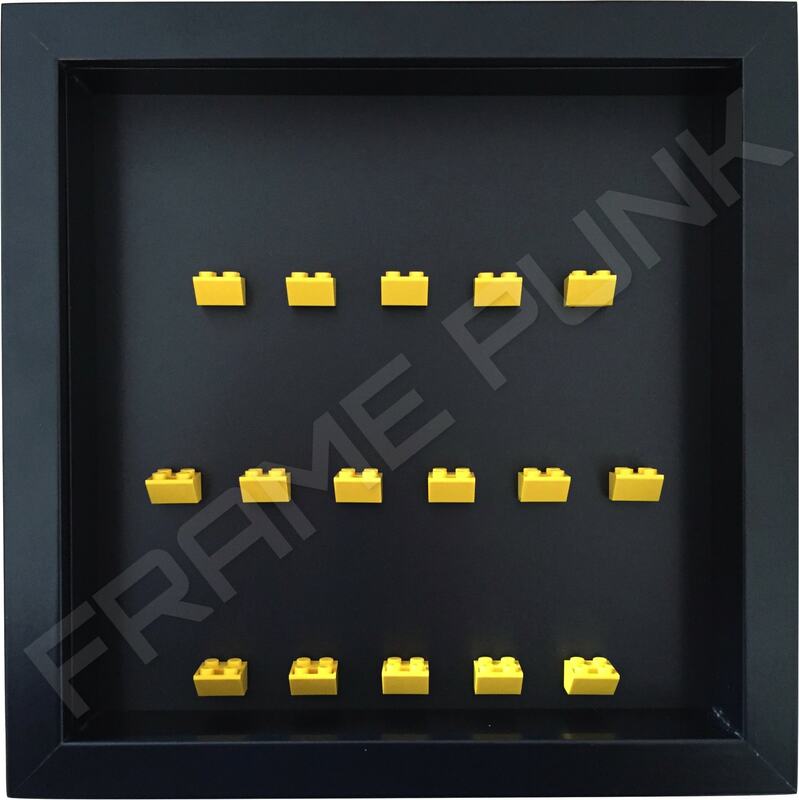 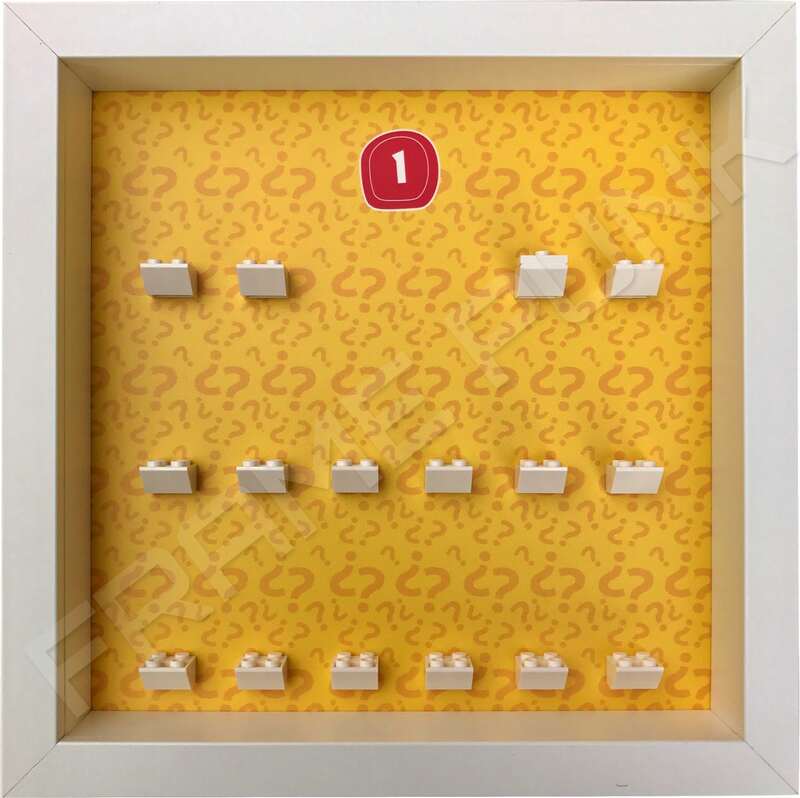 • 3 Official LEGO White mounting bricks. “Do you want to build a snowman? 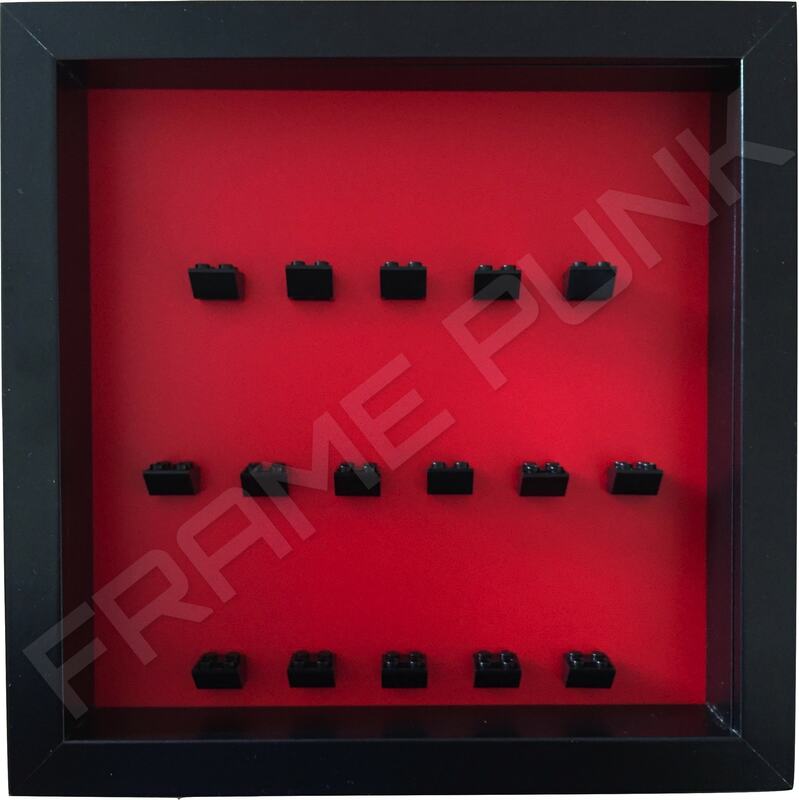 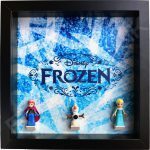 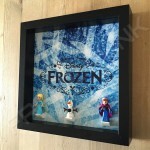 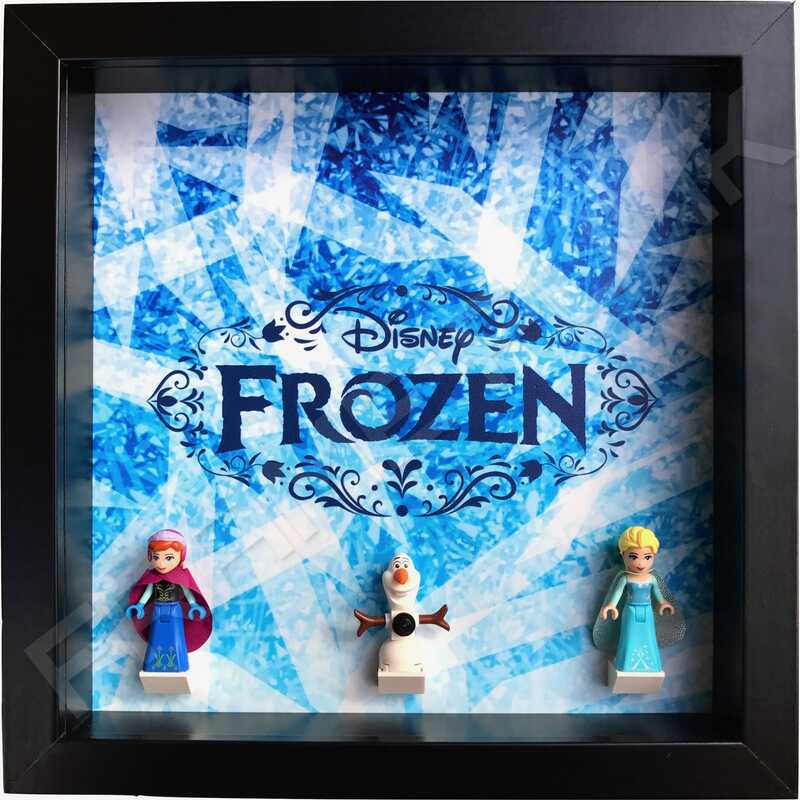 !” Well, how about displaying said snowman along with a few friends on our Frozen Lego display frame?! 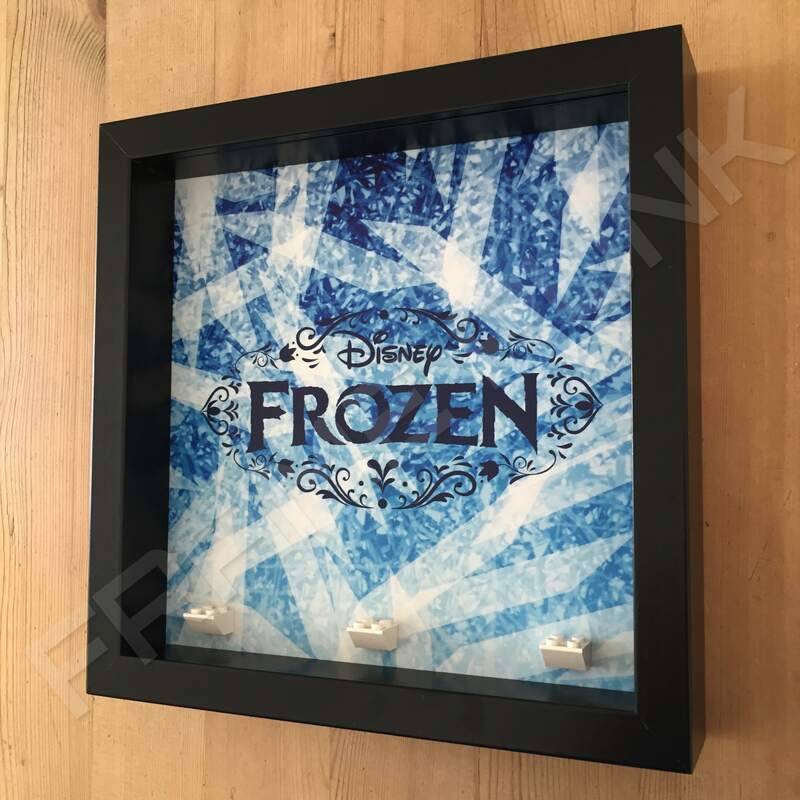 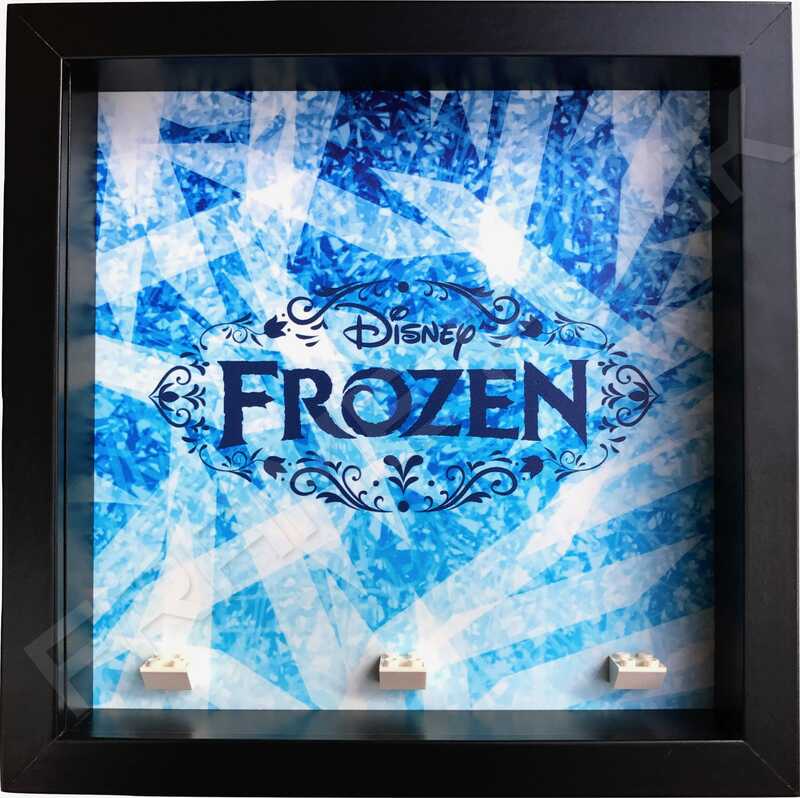 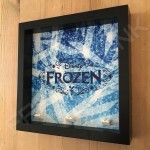 Snow and icicles in blue and white set the background for this frame with the familiar Disney Frozen logo, centred in dark blue.